This week's tool review is a strange new tool, but a highly effective one - introducing the Milwaukee M12 Rivet Tool Kit! The problem with most rivet applications is that you have to squeeze a tool to pop a single rivet when securing two pieces of metal together. If your'e doing a large project with several hundred rivets, using a hand tool will kill your hands and take forever to complete. Upon opening the box I found that the tool comes with a Milwaukee carry bag, 2 12V M12 batteries, a 12V M12 charger, and 4 nose pieces that are 3/32”, 1/8”, 5/32”, and 3/16”. The tool feels very durable in the hand, it comes with a steel clip so you can clip this onto your tool belt. It's equipped with an LED light that illuminates the work surface in front of the tool, and removable mandrel collector that holds your spent mandrels after popping a rivet. 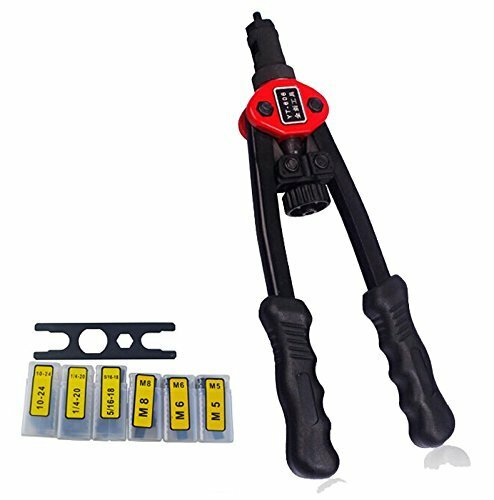 This tool also comes with red link technology, which is essentially a computer board that provides overload protection, fuel gauge, and optimizes the performance of the tool under a load. There's an on-board nose piece storage compartment for keeping nose pieces for different sized rivets close at hand. Another feature is a tether hook that acts as a tie off point for lanyards and tethers, so using this up on a lift is no problem. So as an electrician I don’t generally use rivets for anything. Rivets are a tool that are meant to secure two pieces of metal together rather than having to bolt or screw something in place. So a lot of metal fabricators will use rivets. Milwaukee sent me their rivet tool and when I first opened it, I thought, “I’m never going to use this. Period.” But I went out and got some rivets and started drilling out holes and applying rivets. I quickly realized that this battery operated rivet tool is outstanding. Normally a rivet tool is just manually hand driven, it’s not a powered tool. But this battery-operated rivet tool takes all of the muscle work and hand torquing out of the equation. It’s very ergonomical, is put together well, and it uses the standard 12V Milwaukee M12 battery technology. The amount of rivets that you’re able to do over a given period of time far surpasses what you would be able to do with a standard hand squeezing type rivet tool. If you’re going to spend all day riveting, you do not want to use a manual riveter. You want to use something like this powered battery operated tool. This rivet gun will drive rivets from 3/32" to 3/16", and is capable of pushing aluminum, steel, and stainless steel rivets with ease. At only 4.54 lbs this is a lightweight tool. 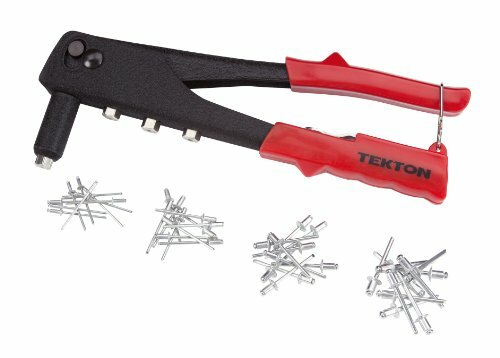 The batteries are strong enough to drive 450 1/8" steel rivets on a single charge. 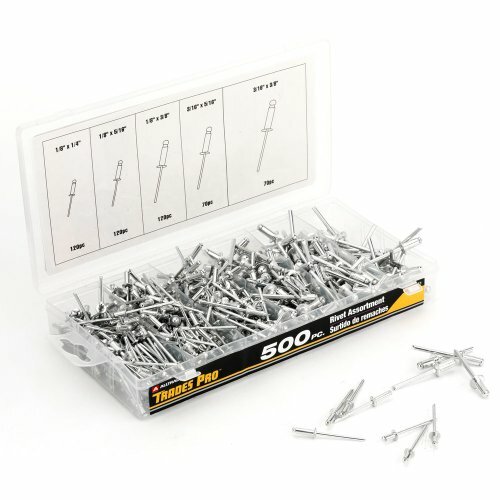 If you are somebody who does a lot of metal work, and typically uses rivets this is a game changer for you. Not only will it make your job more efficient and allow you to get more rivets in over a given period of time, it will allow you to rivet with ease and save the muscles in your hand for other "important tasks". For more detailed information on this rivet gun, CLICK HERE.